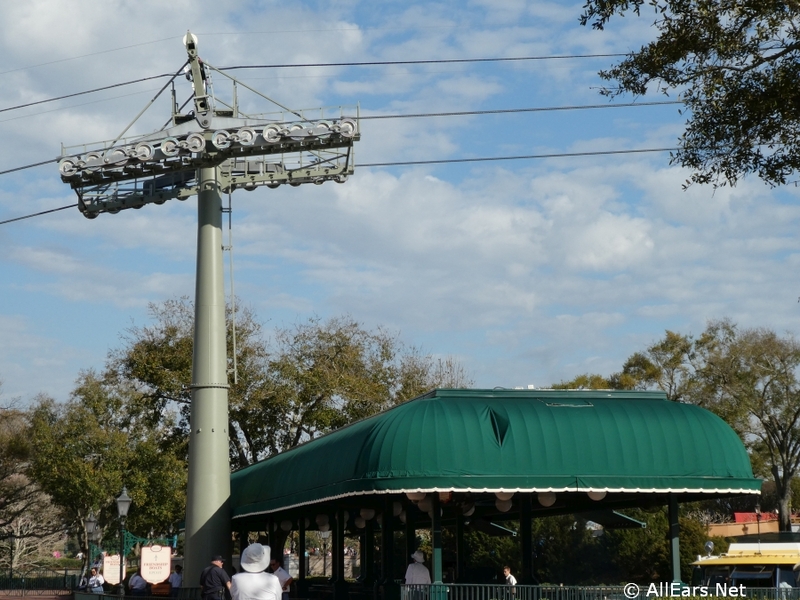 Our latest visit to Hollywood Studios included a special surprise! We got to see the Disney Skyliner System in testing mode with the actual gondolas at what seemed to be full capacity and full speed! 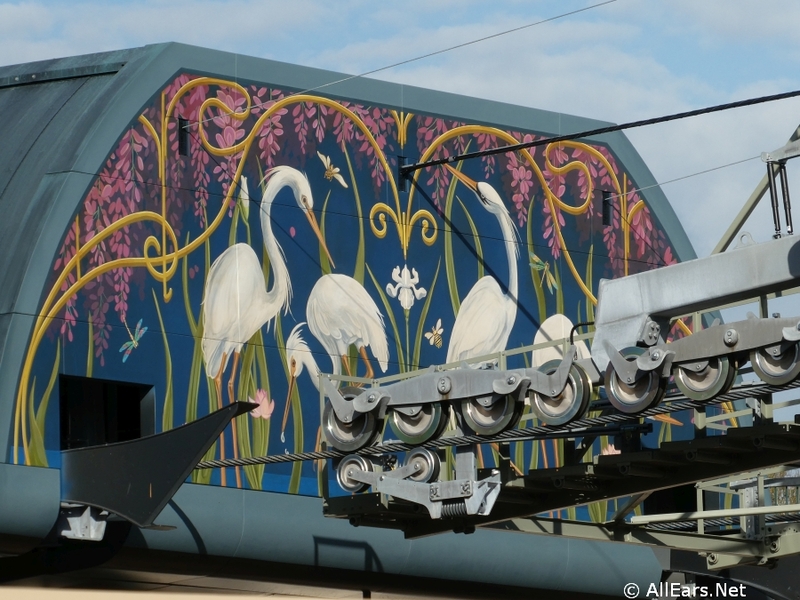 Disney has been running the Skyliner system all month with test gondolas and actual gondolas, but this is the first time it has been running at full speed and capacity. When the new Skyliner System opens this fall it will connect Epcot and Hollywood Studios to each other and to the Art of Animation, Pop Century, Caribbean Beach, and Riviera Resorts. 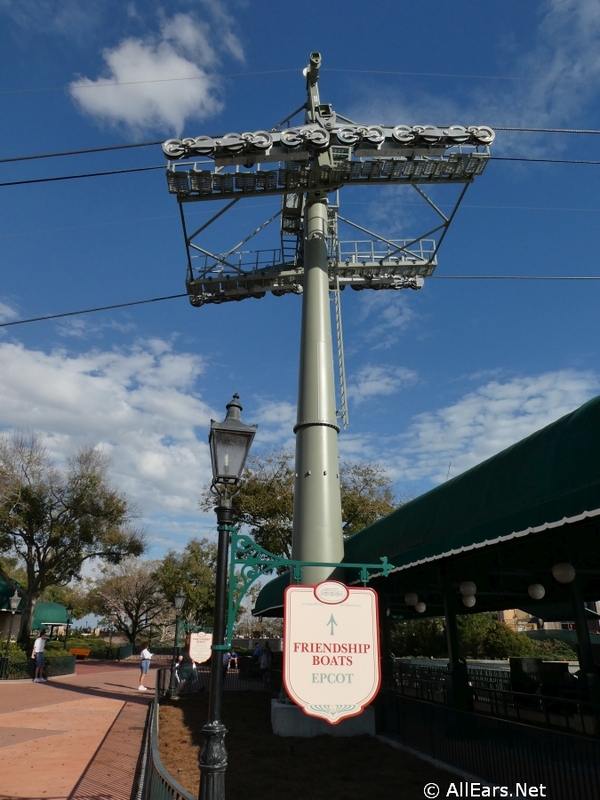 Meanwhile, over at Epcot’s International Gateway, the Skyliner station has really progressed since our last visit. The walls are down from around the FriendShip boat dock and new signage has been put in place. 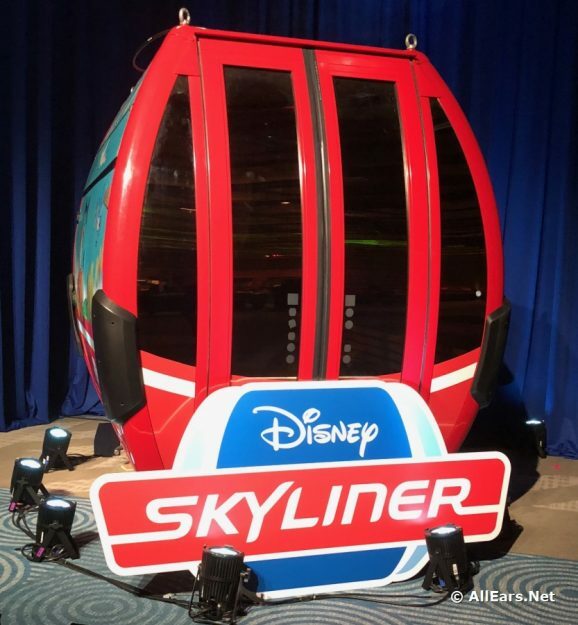 The Skyliner System will open in the fall of this year. In case you missed it, Disney recently shared some images of the artwork that will be on the gondolas — these will be quite a colorful and fun sight to see around the parks and resorts! 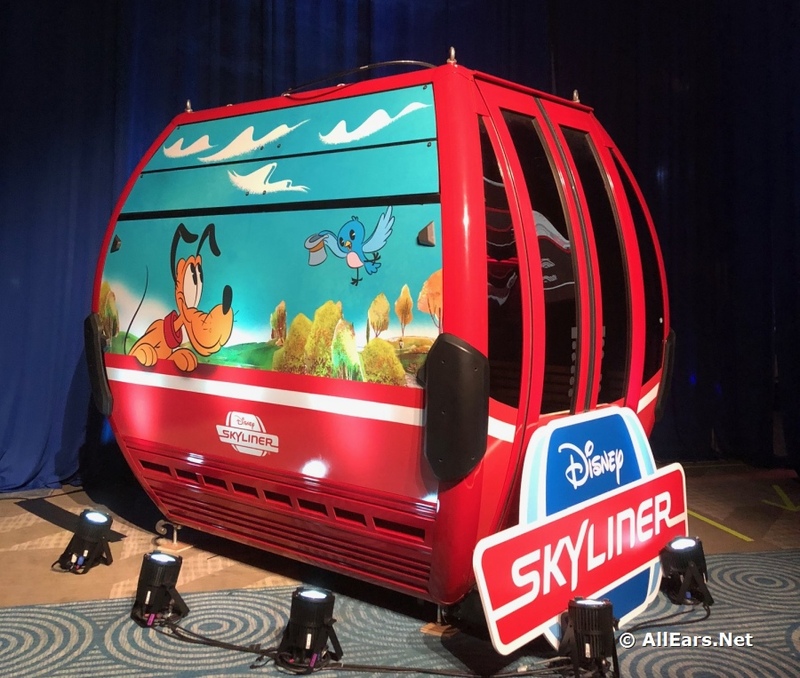 When we attended the D23 Destination D Conference in November we were treated to a peek at an actual Skyliner System Gondola. 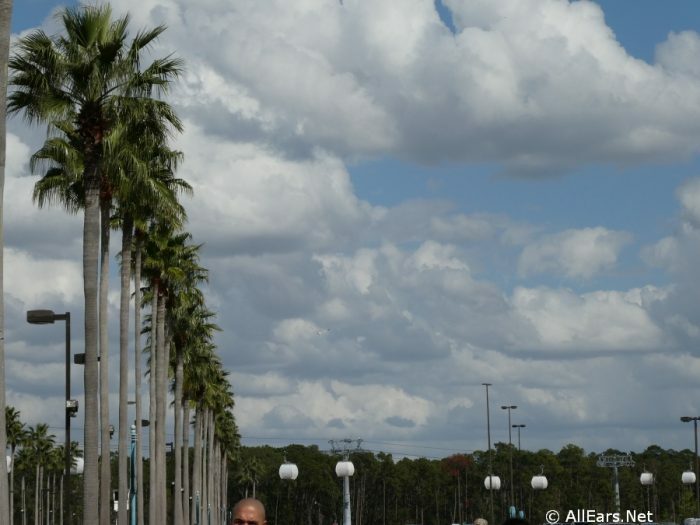 Want to know more about the Disney Skyliner System? We can help! Now, the big question — which gondola will you choose when you ride the Disney Skyliner? 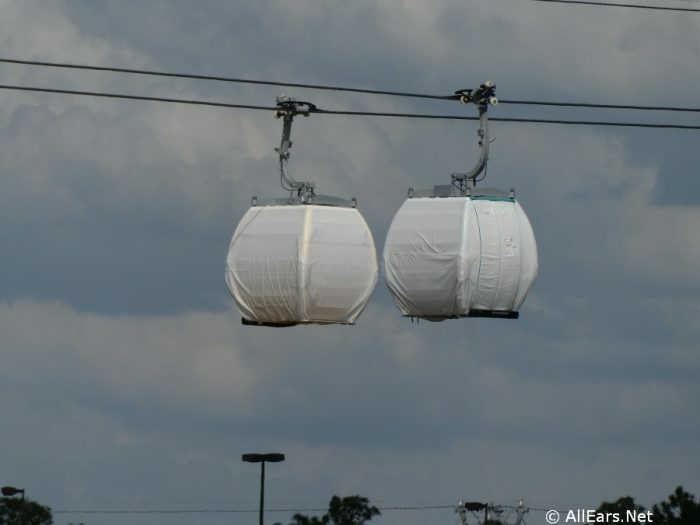 I’d like to know how many people are admitted to enter in these gondolas ? 16 people. 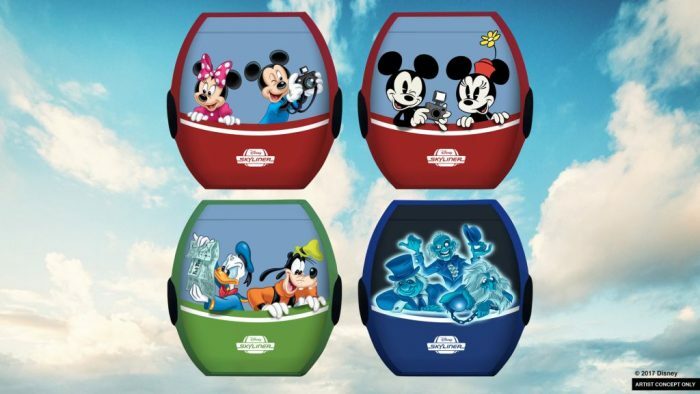 There is no air-conditioning in the gondola’s just air-vents!